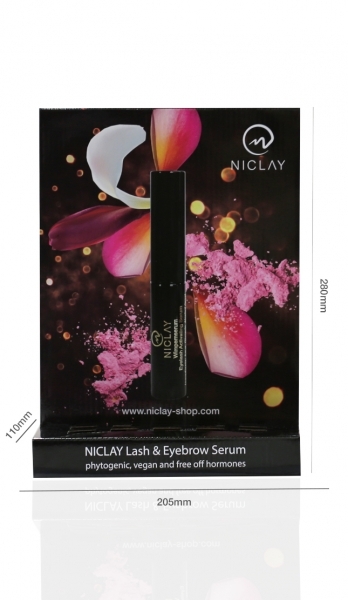 To illustrate the eyebrow and eyelash serum in your studio, try our sales display. 10 serums fit in the display and are therefore beautiful to display! Get 10 serums additionally together with the display.